You need a blade for your power tool and we’ve got blades for your power tool. A dull blade can slow your work down to a trickle and it’s not efficient, safe, or fun. With our wide selection of replacement saw blades, we are here to help. From Sawzall and bandsaw blades to grinding wheels and scraper blades GME Supply is your one stop shop for all of your blade needs. Don’t see the blade you need, or have a question? 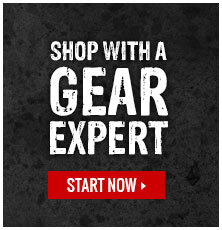 Click here to contact one of our Gear Experts®!